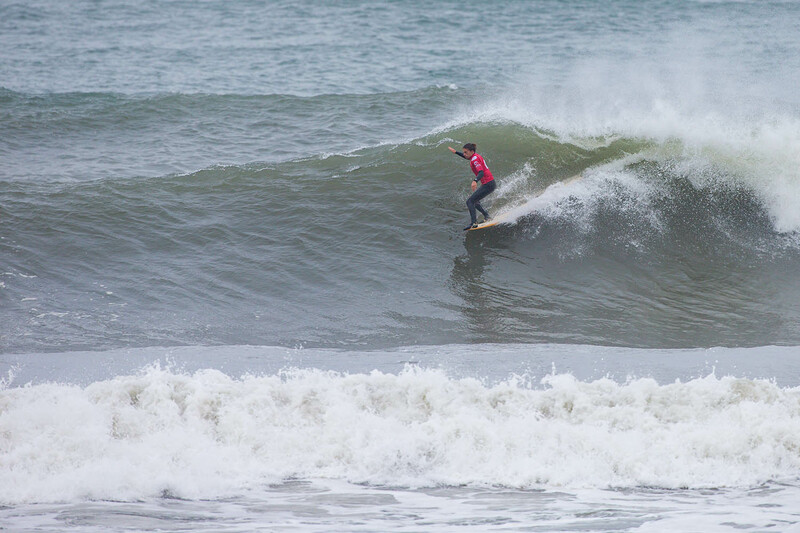 Alice Lemoigne (FRA) and Edouard Delpero (FRA) have won the Longboard Pro Espinho today, claiming victory in the Finals against Zoe Grospiron (FRA) and Ben Skinner (GBR) respectively, held in complicated conditions in Espinho. 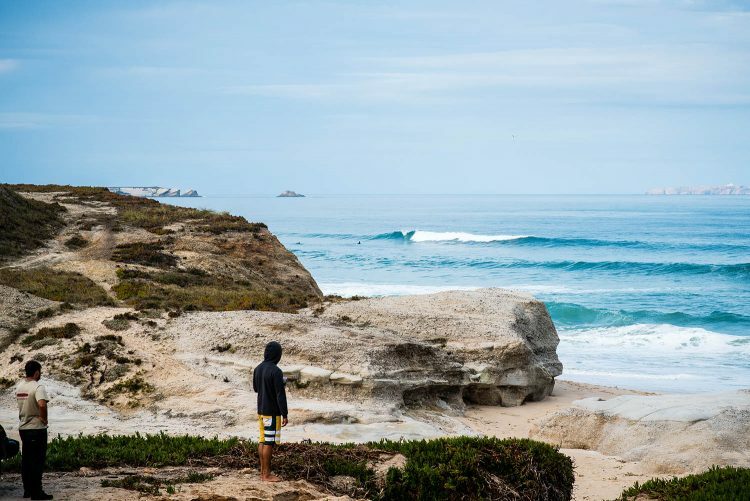 The opening stop on the 2019 World Surf League (WSL) European Longboard Qualifying Series (LQS), the Longboard Pro Espinho had to deal with a difficult forecast and solid waves until completion today. Delpero absolutely dominated the event and posted 9 out of the 10 best rides of the entire competition. He claimed an early lead on the European rankings in the process and will have to fence off Skinner’s attacks in the next two events in England and Spain to secure a third regional title. With two European titles each to their name, Delpero and Skinner were the clear favorites heading into the opening event of the season in Espinho. The Frenchman dominated in the previous two rounds, even posting a near-perfect 9.50 in the Semis to defeat fellow country man Benoit Carpentier. Delpero kept his momentum going and started his Final with a good 7.50 and an average backup, threading long rights on the nose of his longboard and carving the open face when the wave let him. Skinner, who knew exactly what he needed to beat the former runner-up in the world, took the aggressive road, with a great nose ride on a clean set and a fully committed massive re-entry on which he unfortunately lost control and fell. On the next exchange, both surfers rode back-to-back waves and Skinner this time got the better of Delpero with a good 7.40 to stay in fighting distance. The British powerhouse even found a little cover-up on his next ride, but Delpero on the wave behind locked in two lengthy nose rides and beautiful, drop-knee cutbacks to post the highest number of the heat, an excellent 8.07 to further extend his lead. On a last exchange on the five-minute mark, Skinner tried his luck on another big set wave but it didn’t offer much, while Delpero once again took the second wave, a slightly smaller, much cleaner version of the right and went on to post another big score, a 7.93 to claim his second back-to-back Longboard Pro Espinho title. Skinner had a trickier road to the Final, but kept on building his heat totals all the way into the last heat of the day, unfortunately falling just short against the Frenchman. The next event on the European longboard qualifying series will be on his home turf at Fistral and he’ll sure be hungry for a revenge on Delpero. Delpero and Skinner had previously defeated Benoit Carpentier (FRA) and Federico Nesti (ITA) respectively in the Semifinals. In an all-French women’s Final, Lemoigne and Grospiron took on a slightly more manageable lineup than earlier during the day, with good three-to-four foot rights peeling from the break wall down. The first half of the Final remained relatively slow with only minor scores dropped by both surfers. The four-time European title winner Lemoigne moved into the lead halfway through the heat with a good little nose ride for a 5.00 point ride as waves on the incoming tide started to die on a mid bank where they used to reform all the way into the beach. 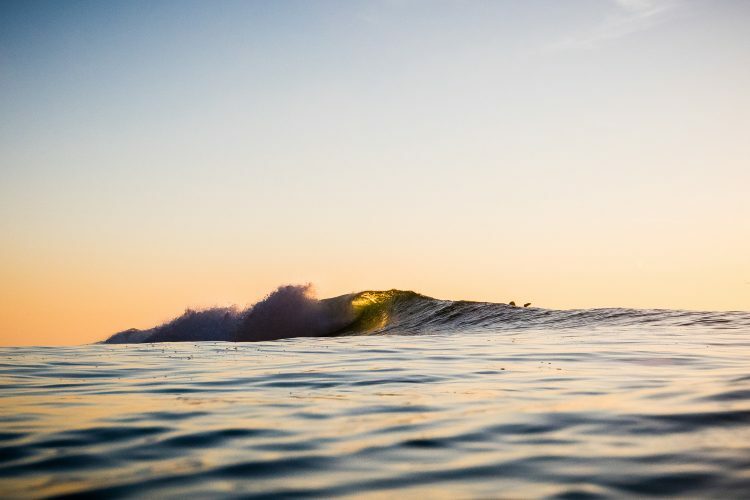 Both surfers unfortunately couldn’t quite find long-enough sections to cruise to the nose of their longboards as the lineup once again changed and offered short rides with more and more bumps on the wave face. The challenger Grospiron did get an opportunity on the five-minute mark but came up just .58 point short of the score required to turn the heat. Lemoigne secured yet another event win on the European series and once again sits atop the regional leaderboard early on. For Grospiron, being in her first-ever Final of a WSL event was already a feat, but the young surfer from Biarritz did not give away any signs of suffering from the pressure of the situation. The graceful regular foot played her hand the best she could with the waves on offer and eventually placed runner-up to Lemoigne, for her career-best result to date.